First Listen: Josh Ritter, 'The Beast In Its Tracks' The singer-songwriter's new album was written entirely in response to his recent divorce. Even in its darkest moments, though, The Beast in Its Tracks finds Ritter sounding more bruised than wounded, and yearning to compartmentalize and preserve the happy memories that remain. Josh Ritter's new album, The Beast in Its Tracks, comes out March 5. 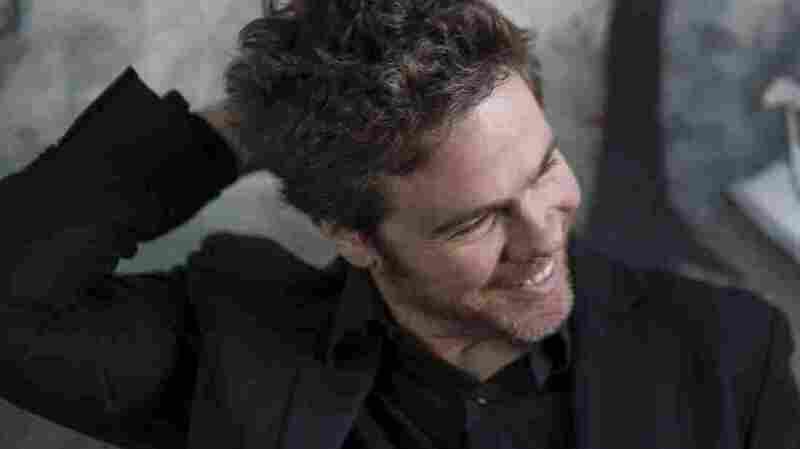 As one of the most thoughtful singer-songwriters around, Josh Ritter isn't one to write angry, over-the-top, knee-jerk breakup songs — even though his new album, The Beast in Its Tracks, was written entirely in response to his own recent divorce. Gentility and empathy are wired into Ritter's songwriting, so his idea of a breakup anthem is the gorgeous and glorious "Joy to You Baby," in which he closes the book on a relationship by wishing everyone well, himself included. But before Ritter can get to that point — it's no coincidence that "Joy to You Baby," one of the best songs of his career, is tucked right near the end of The Beast in Its Tracks — he does detour through a few less magnanimous stages of grief, including an occasional dose of passive-aggressiveness worthy of Bob Dylan at his most acerbic. In "New Lover," Ritter feigns best wishes en route to a bitterly funny punchline, and along the way backhandedly accepts what passes for responsibility: "Perhaps the fault was mine / Perhaps I'd just ignored / who you were always gonna be / 'stead of who I took you for." The Beast in Its Tracks mostly hovers in a fascinating spot, where Ritter's emotional timeline is concerned: Even in the album's darkest moments, he's more bruised than wounded, yearning to compartmentalize and preserve the happy memories that remain, and recovered enough to delight in fresh romantic encounters. He's a man trying on newfound wisdom and finding that it doesn't always fit, but he lands in a meaningful place: processing a breakup as the necessary catalyst for a new reality in which everyone has a shot at happiness.